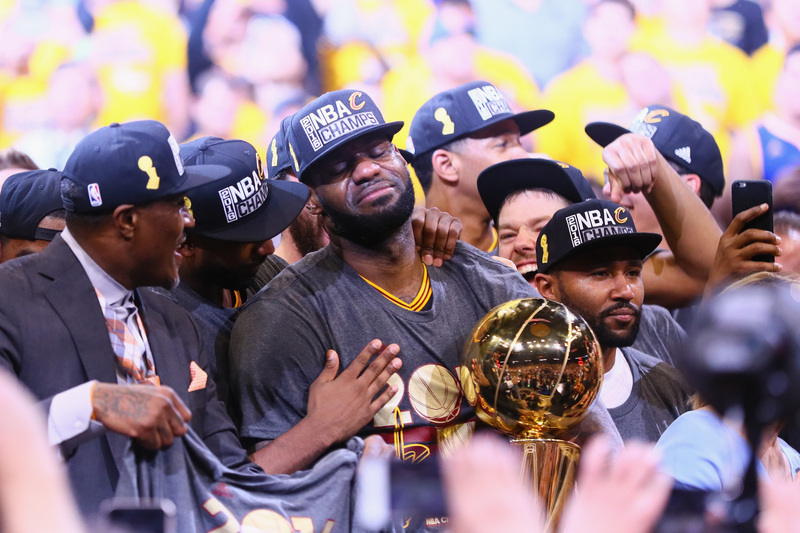 On Sunday night, the Cleveland Cavaliers won the NBA championship, the first victory in its 46-season history. The Cavaliers beat the Golden State Warriors in a 93-89 match that was tied with less than two minutes remaining. This is a major win for the Cavaliers and for Cleveland: the city hadn't claimed a national sports title since 1964 when the Browns football team won the NFL championship. These Cleveland Cavaliers comeback memes show just how excited sports fans are all over the country for the team's incredible (and long-awaited) victory. LeBron James helped carry the team to the big W in a heated game. James started out playing for the Cavaliers, but left for the Miami Heat in 2010. He was quickly vilified for this choice because he was born and raised in Akron, Ohio, and leaving the Cavaliers for the Heat seemed like he was abandoning his home state. But that all changed when he returned to the Cavs two years ago. It was almost like James played better knowing the tumultuous relationship he had with Ohio — in his first two years back with the Cavs, he led them to the NBA Finals both times and claimed the championship title this year. These 12 memes of the Cavaliers' comeback perfectly capture the mood of sports fans (and Cleveland, Ohio) fans alike. This might just replace the infamous crying Michael Jordan meme. It's no easy feat to pick your team out of a 3-1 championship slump. Talk about a comeback. Please note the crying Michael Jordan face superimposed on the shoes. Genius. Never forget the original comeback kids from High School Musical. This was pretty much all of us, no matter what team you were rooting for, but especially Cavs fans in the last two minutes of the game. I think it's safe to say James definitely took back the throne tonight. King James has become Queen James? Not sure, but I'm into it. Drake might have to change his lyrics to note that Curry went from 100 to 0 real quick. Ayesha Curry (Steph's wife) probably wouldn't be too happy about this shirt. These Cleveland comeback memes are hilarious and show just how happy Cavs fans are at their home team's historic victory.